(Photo: REUTERS / KCNA)North Korean leader Kim Jong Un (C) visits the Kumsusan Palace of the Sun on the 72nd birth anniversary of North Korea's late leader Kim Jong Il in this photo released by North Korea's Korean Central News Agency (KCNA) in Pyongyang February 16, 2014. The World Council of Churches says it is alarmed by the escalating tensions and exchanges of fire on the Korean peninsula. "The governments of South and North Korea are engaged in a dangerous game of provocation and counter-provocation," said the director of the WCC's Commission of the Churches on International Affairs Peter Prove on Aug. 21. It "puts the lives of the people of the peninsula into jeopardy." Recent incidents include a landmine explosion in the De-Militarized Zone in which two South Korean soldiers were severely injured. Then South Korea resumed loudspeaker broadcasts directed toward North Korea, and these have escalated rapidly in to exchanges of artillery fire between the two sides. "This represents a qualitatively more serious situation than during previous periods of heightened tensions in the region. "Recent joint military exercises by U.S. and South Korean forces also have contributed to this explosive political environment," the WCC commented. Indicating the seriousness of the situation the North Korean mission in Geneva, distributed a report on its State-run news agency to news correspondents accredited to the United Nations on Aug. 21. "The situation of the country is now inching close to the brinkof a war due to the continued anti-DPRK [North Korean] political and military provocations by the U.S. imperialists and the South Korean puppet forces," the official North Korean news agency KCNA said. North Korean leader Kim Jong-un ordered his frontline troops to be on a war footing, after an exchange of fire with the South across their heavily fortified border, the North Korean KCNA reported Aug. 21. 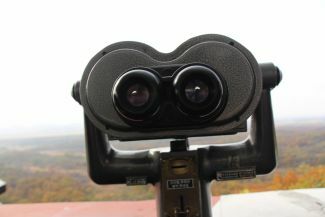 (Photo: Ecumenical News / Peter Kenny)The view of the North Korean sector of the demilitarized zone seen from the South Korean side on November 2, 2013. 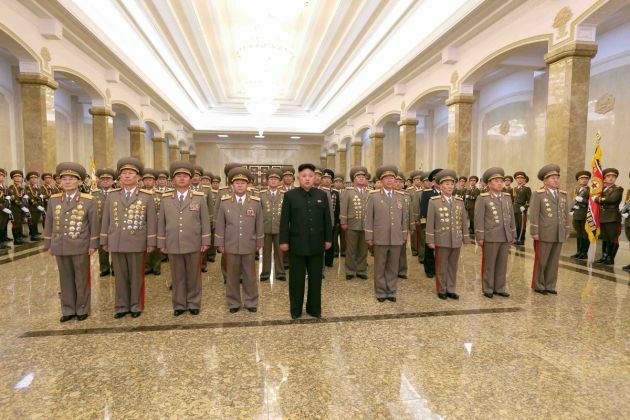 It said Kim declared a "semi-state of war" at an emergency meeting the night before, the BBC reported. "The World Council of Churches calls on both South and North Korea to refrain from further mutual provocations, and on other involved governments such as the USA to contribute to reducing rather than to heightening tensions," said WCC general secretary Rev. Olav Fykse Tveit. "Provocation does not offer a path to peace," he stressed. "It can only risk a slide into conflict, with unimaginable and uncontrollable consequences for the Korean people as well as people of the region and the world." "Together with the National Council of Churches in Korea, we urge the opening and use of channels of communication to help prevent military clashes," Tveit noted.